Although video sewer inspection minimizes the need for confined space entry, there are aspects of sewer maintenance and rehabilitation that still require it. According to the U.S. Department of Labor Statistics, an average of 50 workers die each year as a result of confined space hazards, and hundreds more are seriously injured. The most important step in preventing these casualties is to follow proper procedure. 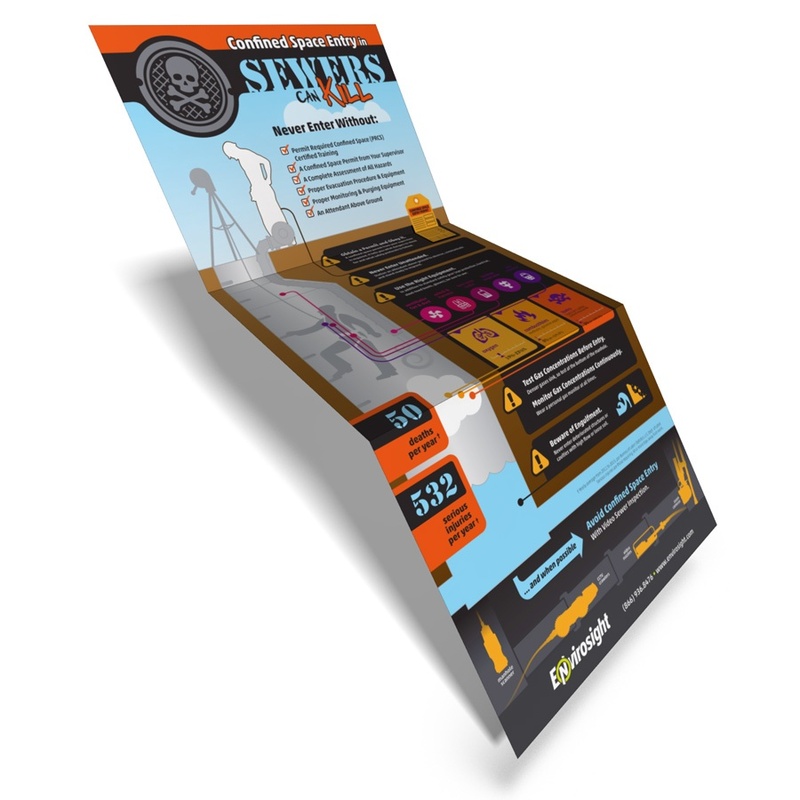 To raise awareness, we've created a FREE poster for sewer inspection crews. It warns against the hazards of confined space entry and lists the authorizations, equipment, procedures and training that are required before a technician can safely enter a confined space.